We have gained expertise in manufacturing and exporting a wide range of Forming Machine demanded largely for its wide applications areas. Under this range, we have on offer Bangle Sizing Machine, Hydraulic Press For Coin, Rolling Machine, Carbide Rolling Machine, Double Sided Strip Cutting Machine, Hammering Machine, Tube Forming Machine and Six Pass Wire Drawing Machine. Making this range affordable prices, we have been able to satisfy the needs of our clients. We are a very renown organization that is known for manufacturing and exporting a qualitative range of Jewellery Threading Machine Pin Post/ Threaded Post Automatic Machine. Quality controllers appointed by us make sure that our range has no defects that again facilitate us to satisfy our customers. 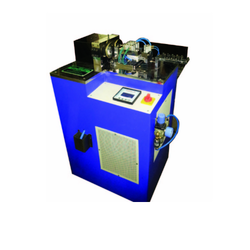 Under the astute supervision of expert and skilled professionals, our Tube Forming Machine is manufactured. Made available at the most competitive prices, our range also comply with the international quality standards. Addition to this, offered machines are ideal for long time use and are sturdily constructed as well. Our Chain Hammering Machine is able to cater to the exact needs of our clients and because of this, offered range is in high demand. Addition to this, clients appreciate our range because of its long time performance and easy operations that are also available at the market leading prices. 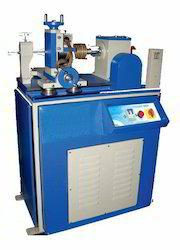 We are named among the prominent manufacturers and exporters of a wide gamut of Six Pass Wire Drawing Machine for Jewellery that has been priced very competitively and available as per the requirements of the clients. Furthermore, range that is manufactured at our end meet currents trends and followed its performance is appreciated by our clients largely. 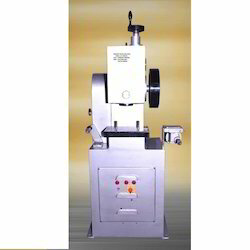 Used for making thin gauge gold wire for chains and jewelry makers. Looking for Forming Machine ?